Projectors can be used in multiple environments such as schools, office, churches, cinemas and your target audience should guide your choice of a projector. The hardware and graphics are perhaps the most important aspect of a projector because, without good graphics, the projector is as good as useless. I have a product with magnificent graphics and unbelievable hardware which definitely needs your attention. The WOWOTO H8 Projector is the real deal. The Projector can be a great centerpiece for your home entertainment system. Whether you’re watching a movie, football games, parties, camping movie PPT/Word/Excel or business presentation.. the Projector provides a big-screen and experience from the comfort of your home or outside. Its DLP driver technology can bring you more colorful and brighter image as well as smooth video entertainment at any time any place. 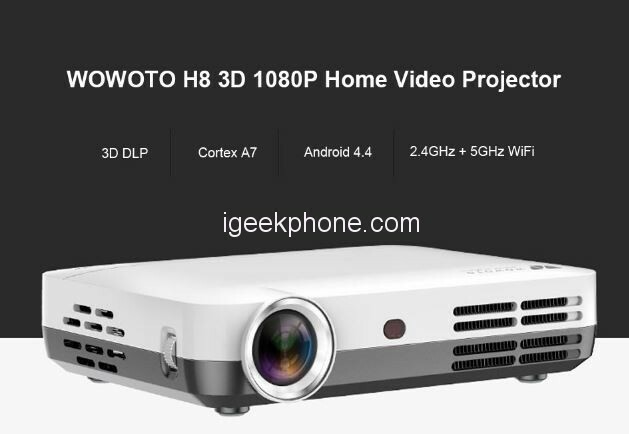 The WOWOTO H8 Projector is an Android-powered, portable, Wi-Fi smart projector. This projector comes in a compact design with a dimension of 16.00 x 12.00 x 4.00 cm and it weighs 487grams. 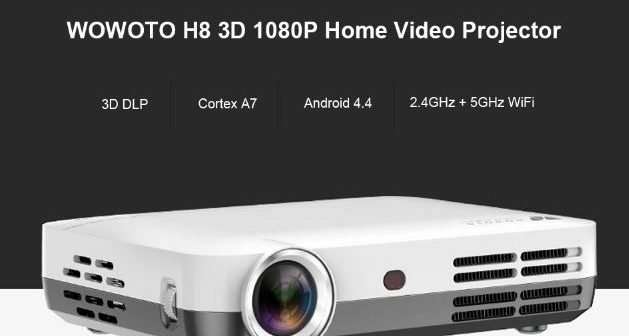 The WOWOTO H8 Projector is designed for home cinema with 200 – 250 lumens DLP light utilization efficiency and a physical resolution of 1280 x 800 pixels. This means that your picture quality is very clear because its WXGA resolution (1280 x 800) offers 3.5x more resolution than SVGA (800 x 480) for HD image content. The WOWOTO Mini Projector runs on the Android 4.4 which is more than what you will expect on a projector. Its high-precision, convenient, efficient and accurate electronic focus means that no detail is left out during the course of usage. This is not just a simple screenless TV, this projector comes with a Built-in speaker for wonderful sound effect. With a throw ratio of 1.2:1, WOWOTO coffers a stunning projection size of 300 inches from a distance of 10 feet. Far more than just a display, the H8 includes an embedded Android system. 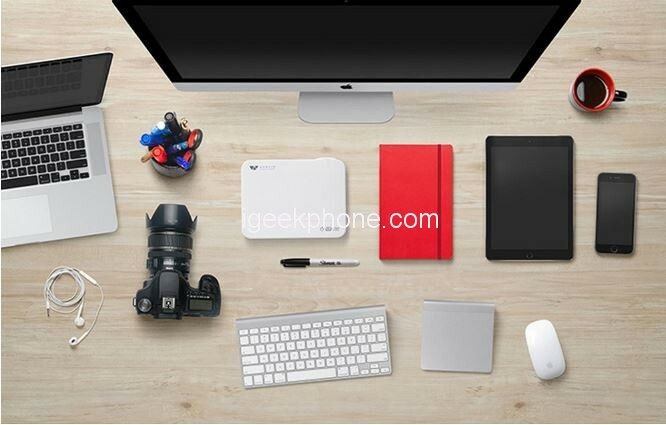 It is equipped with WiFi 802.11a/b/g/n, Bluetooth 4.0, HMDI, and an RJ45 port for multiple connectivity options. 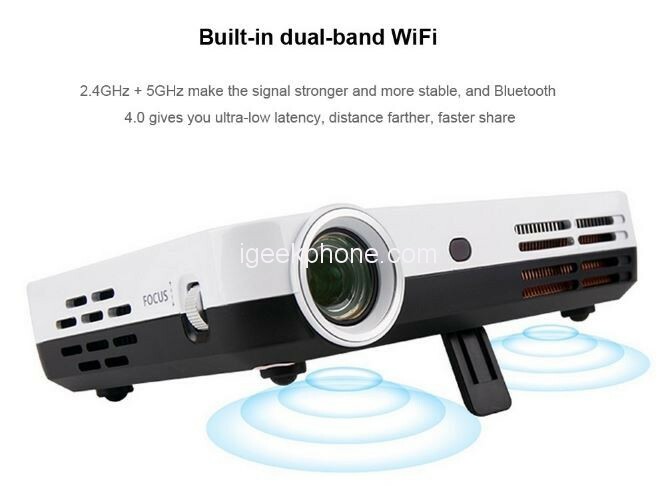 This projector can seamlessly synchronize with images from your phone or computer via WiFi in seconds without using any cables which makes having fun easier and faster. 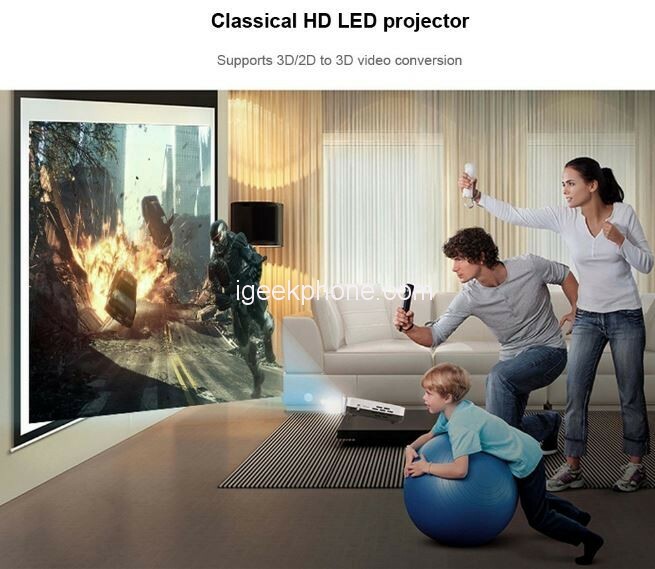 Finally, the WOWOTO Mini Projector delivers 30000 hours of entertainment. It means that the lamp does not have to be replaced for 10 years even if the projector is used 8 hours every day.